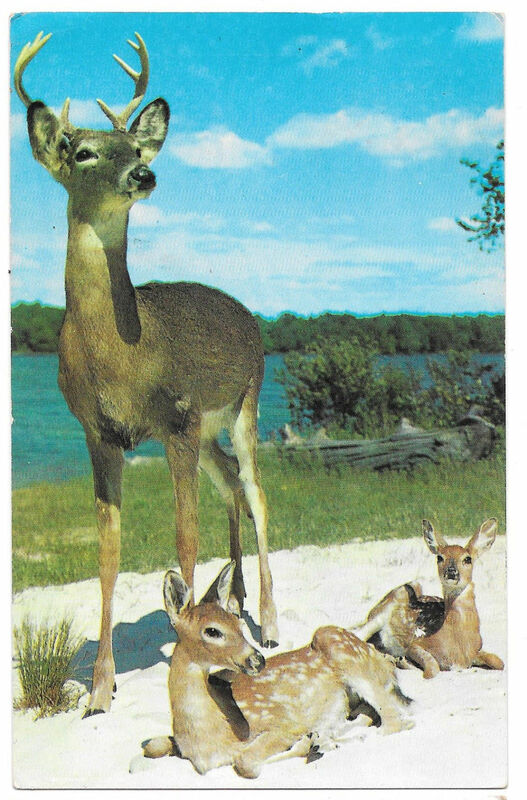 Vintage Postcard Description: The Majestic Buck walks up to survey his two young sons. Native Deer Washington and Oregon Era/Style: Chrome Size: Standard 3.5X 5.5 Photographer: Thomas A. Dexter Publisher: J. Boyd Ellis Arlington Washington - Dexter Press Postally used: Yes Postmark: Valley Wash Jy 16 1956 Condition: Very Good - Light handling Please study scans carefully for condition **************************************BR 1925 1BX Powered by eBay Turbo Lister The free listing tool. List your items fast and easy and manage your active items.